Includes a clear plastic lid. Lid includes a special valve system, flushing out all the air inside. 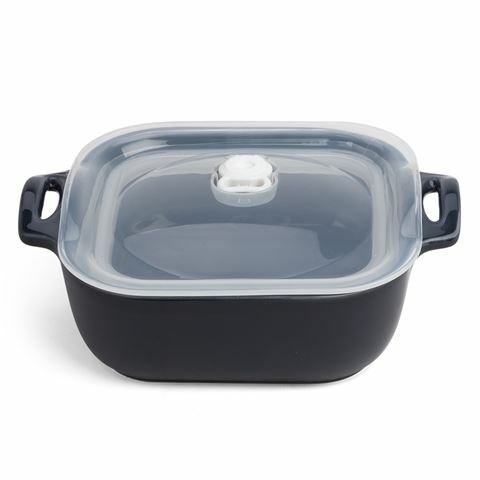 Oven, microwave and freezer safe (Dish Only). Dimensions (Including Handles): 21.5cm (l) x 7cm (h) x 18cm (w).